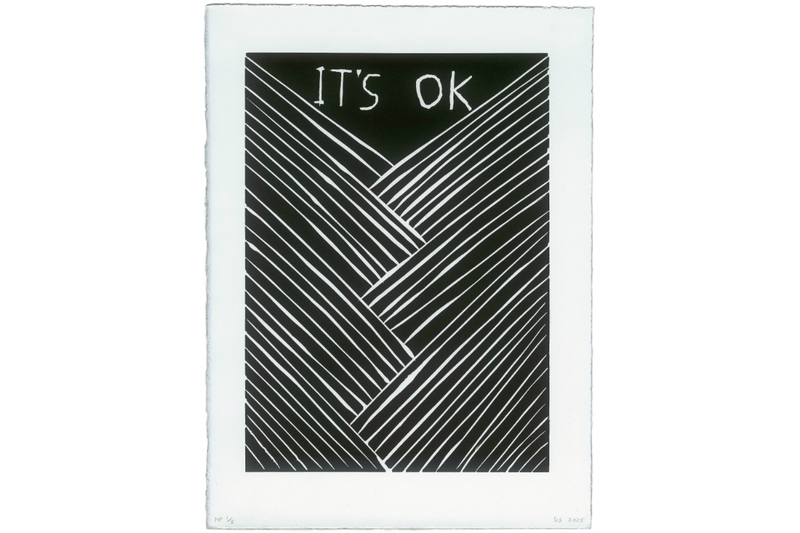 The second in our series of limited edition prints, It’s OK by David Shrigley is a rare example of a linocut by the artist. Here the words ‘It’s OK’ hover above a modernist pattern of straight lines. The print’s graphic boldness and unapologetic simplicity remind us of the artist’s hand at work. The interlocking lines are uneven with an unselfconscious freedom and the text has an inherent naivety about its scrawl. This work is rich with Shrigley’s trademark style and mordant humour, his directness of approach being manifested in both method and message. 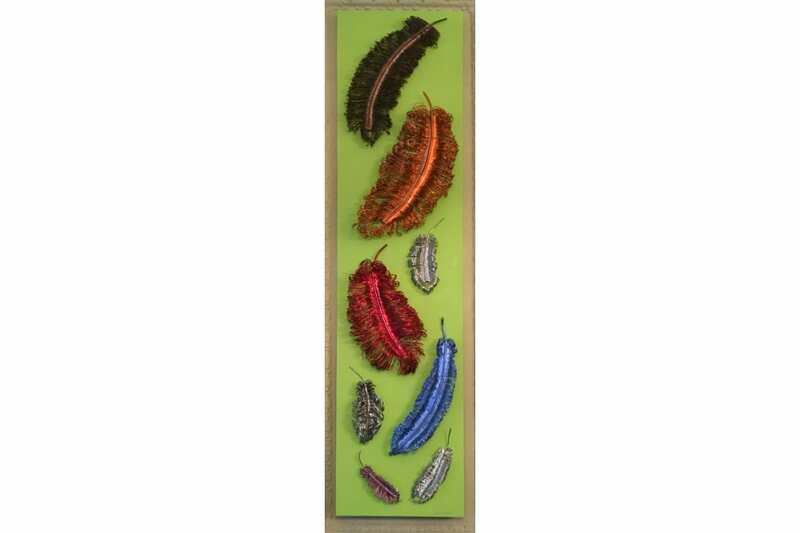 Many thanks to Coriander Studio and Huguenot Editions, Worton Hall Studios for the production of this print. 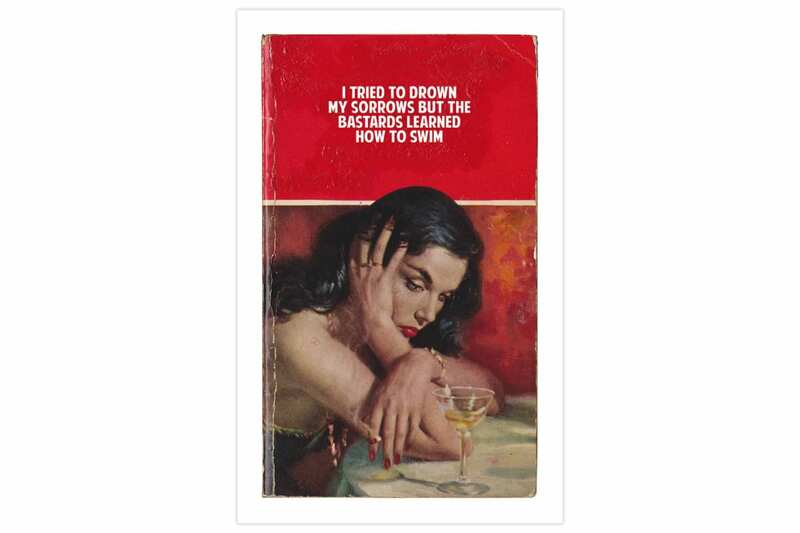 The first in the series of limited art editions is ‘I Tried To Drown My Sorrows, But The Bastards Learned How To Swim’, by The Connor Brothers, who have supported the charity since the club opened in October 2013 when they exhibited a series of works in the Dickens room. ‘I Tried To Drown My Sorrows, But The Bastards Learned How To Swim’ is a playful and irreverent quote, first coined by the artist Frieda Kahlo. The print is part of the Connor Brothers’ ongoing Pulp Fiction series, which explores the nature of truth and fiction and recontextualises found material.